to some of our community groups that we have been fortunate enough to partner with. Heroes in the Rough is a 501c3 non-profit organization comprised of active duty service members and wounded veterans. 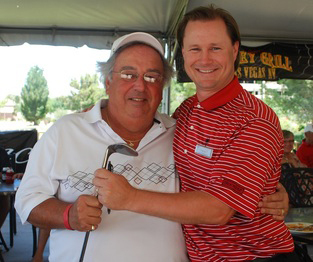 The Heroes Golf Tour raises funds primarily through their signature golf charity events. Below are some of our proud Heroes and thank you all for your service. Below are some photos of our past Heroes event contest winners. 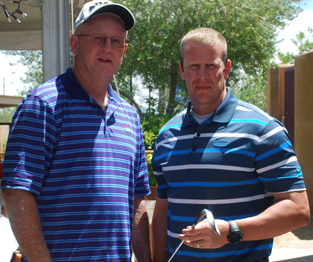 Click here to learn more about the Heroes in the Rough Golf Tour. 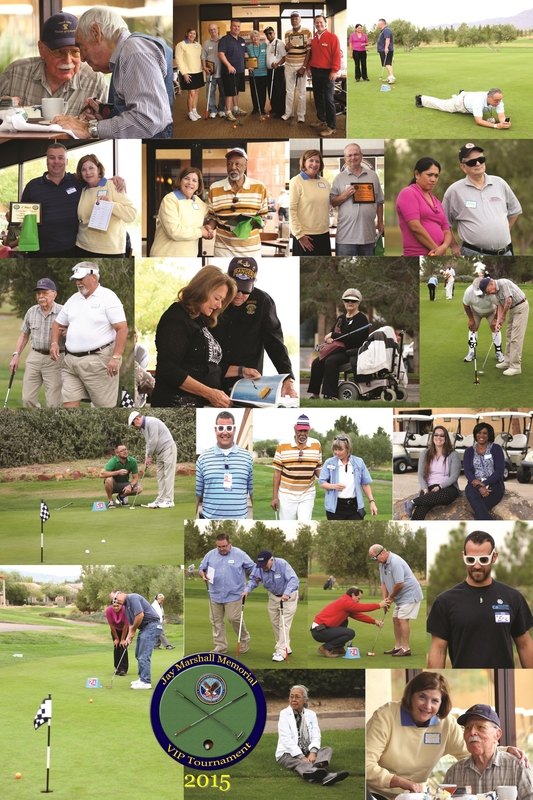 Non-visually impaired participants are provided "eye-wear" and compete with our visually impaired Vets! 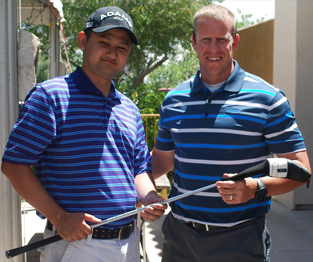 Heroes in the Rough, Aliante Golf Club staff and volunteers acted as "caddies"